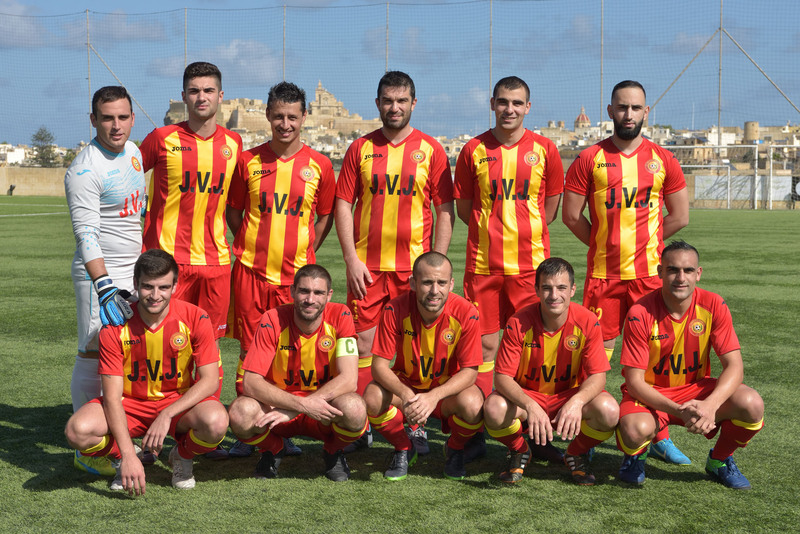 Brignoli, C. Mercieca, S. Sultana, A. Xiberras, C. Cauchi (M. Zerafa), C. Attard, J. Grima (S. Sultana), D. Micallef, C. Farrugia, F. Kosova, L. Attard (J. Theuma). Attard, D. Bajada, S.F. Bajada, K. Hili, J. Camilleri (E. Xiberras), S. Sultana, S.R. Gabriel (F. Cauchi), M. Mamo, J. Xiberras, G. Farrugia, J.G. Vella (S. Galea). 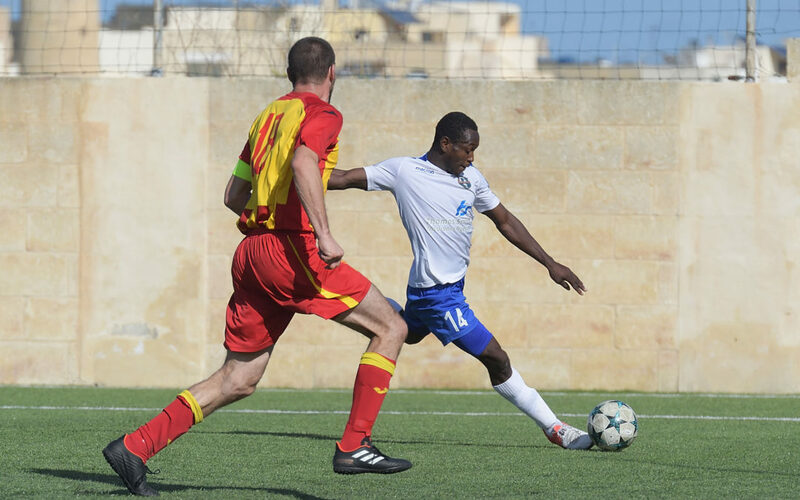 Xaghra United registered their third consecutive win in the campaign in their match against St Lawrence Spurs and with the points obtained they took sole leadership on the table, with two points more than Sannat Lions, the latter however have a game in hand. 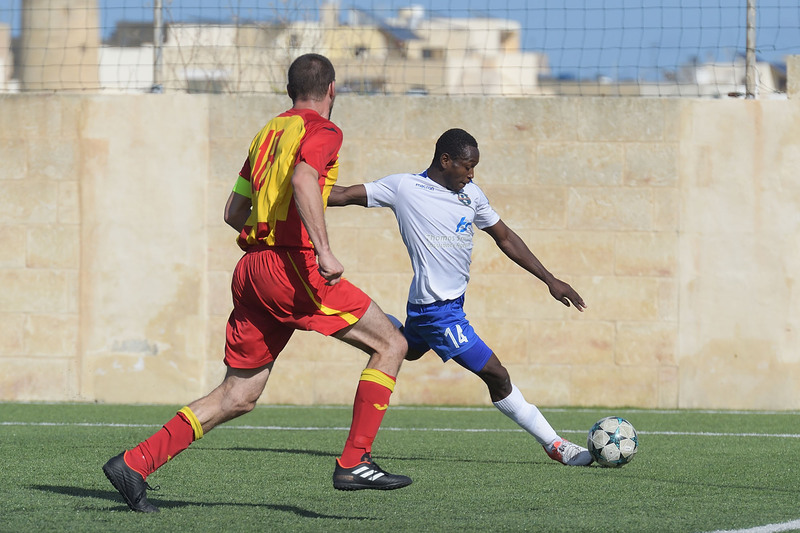 The match between Xaghra and St Lawrence was the last match of the first round for the two teams. Both sides were also aiming to win the full points at stake in an attempt to remain at the top positions on the table and therefore with this result St Lawrence suffered a setback in their ambitions to be serious challengers. Xaghra’s win matured with a goal scored in each half while the Spurs only managed to reduce the score with a goal that arrived during stoppage time. Xaghra were more dangerous in their paly throughout the match. They created the first serious attempt on 12 minutes when Gabriel Farrugia released Johnny Camilleri but the latter had his shot form a good position that ended away from goal. Five minutes later the same Camilleri had a header that was neutralized by St Lawrence’s keeper Angelo Brignoli and on 25 minutes a shot by Joseph George Vella ended just over St Lawrence’s goal. The Spurs replied on the half hour mark through a shot from outside the area by Charlon Farrugia that ended wide and five minutes later Xaghra had a strike from outside the area by Gabriel Farrugia that was blocked to a corner and from the resultant corner action, Steve Sultana’s shot from outside the area was headed to a corner by St Lawrence’s Christopher Cauchi. 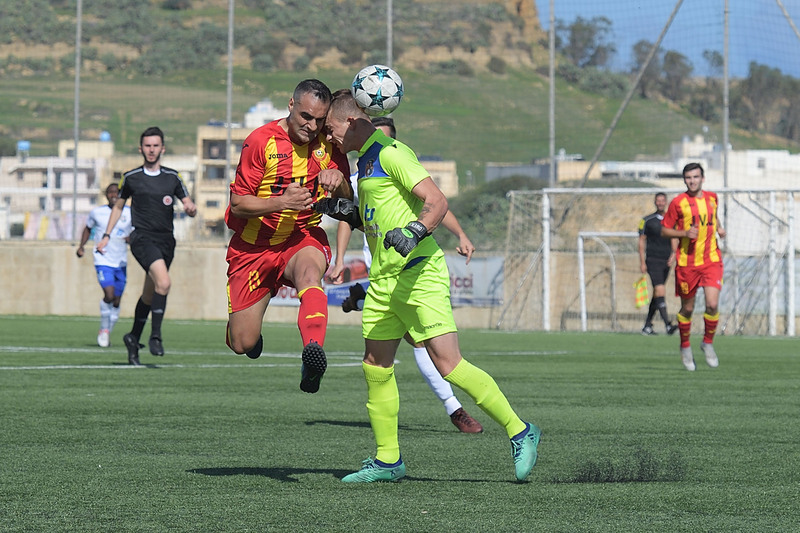 On 40 minutes Xaghra’s keeper Owen Attard left his position in time to take the ball at the edge of the area and to deny St Lawrence’s Franci Kosova from arriving on the ball to hit towards an open goal. 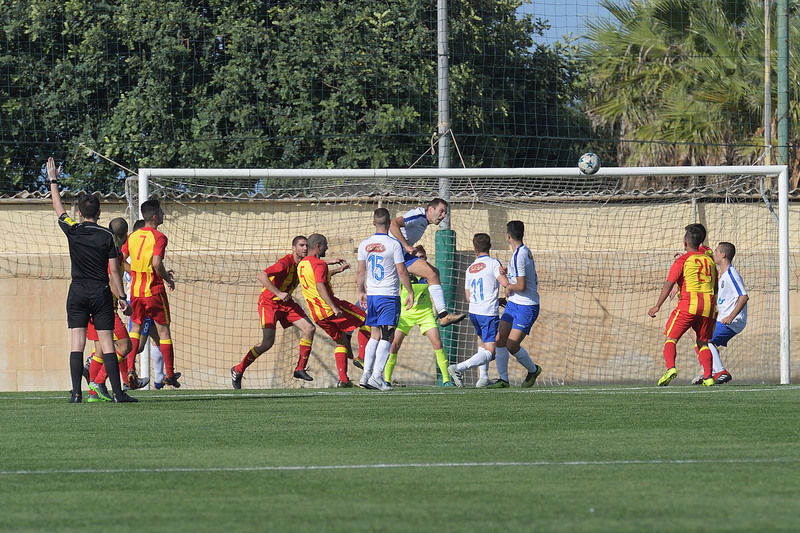 Xaghra opened the score with a goal that arrived in the first minute of stoppage time before half time when a free kick by Joseph George Vella hit the crossbar and from the rebound a header by Samson Remi Gabriel was cleared off the goalmouth be defender Daniel Micallef but John Camilleri was quick to take the loose ball and fired in goal from close distance. After the break Xaghra continued to express more offensive play and on 50 minutes Samsun Remi Gabriel entered St Lawrence’s area but his low shot ended on the side of the net. 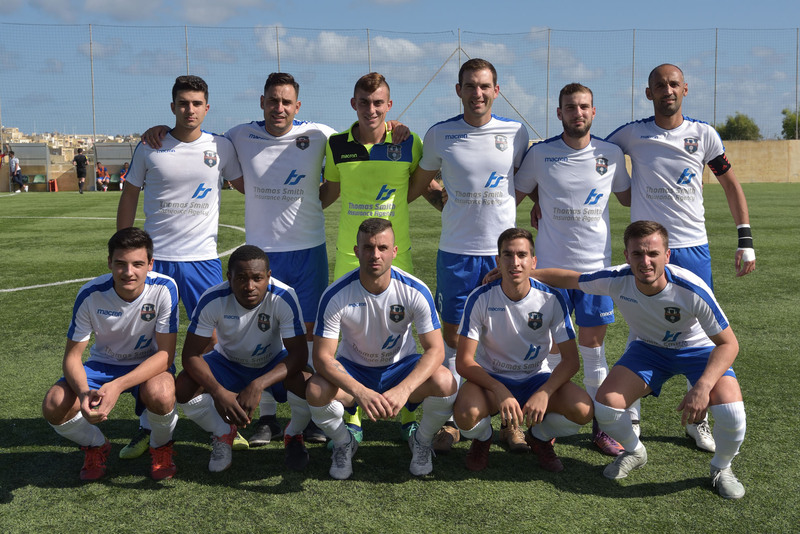 The Spurs replied on 59 minutes through an attempt by Franci Kosova following a corner kick by Charlon Farrugia that was cleared from the goalmouth by the defense. One minute later Xaghra doubled the score through a personal action by Kenny Hili who entered the area and placed in goal with a low shot from an angled position. St Lawrence could have re-opened the issue on 17 minutes but a curling shot by Franci Kosova was stopped by the crossbar. Xaghra went close to score the third goal on 66 minutes through a low shot by Samson Remi Gabriel that was saved by goalie Angelo Brignoli and continued to administer their lead until the dying moments of the encounter. 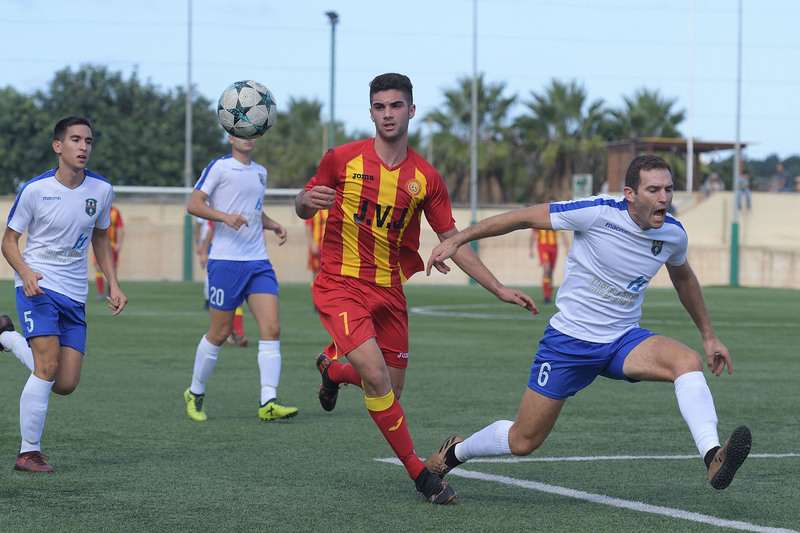 The Spurs reduced the deficit in the first minute of stoppage time through an own goal when an attempt by substitute Michael Zerafa from a melee inside Xaghra’s area was hit badly by Xaghra’s substitute Savio Galea and the ball ended in the net. Xaghra however managed to control play during the remaining minutes of the encounter to clinch the three points form this encounter.